Green tea is a powerful natural anti-oxidant. Since 4,000 years ago, the Chinese have been reaping its anti-bacterial and anti-inflammatory benefits to remedy acne, rosacea psoriasis and other skin conditions. It also contains catechin which helps delay ageing, prevent skin cancer and eliminate deep-seated toxins. Green tea has been used for centuries to cleanse, tone and purify the skin. Green tea contains large quantities of polyphenols, which scavenges free radicals, quenches oxygen and inhibits peroxidation. It is a multifunctional antioxidant and might act at several levels in chain initiation and propagation. 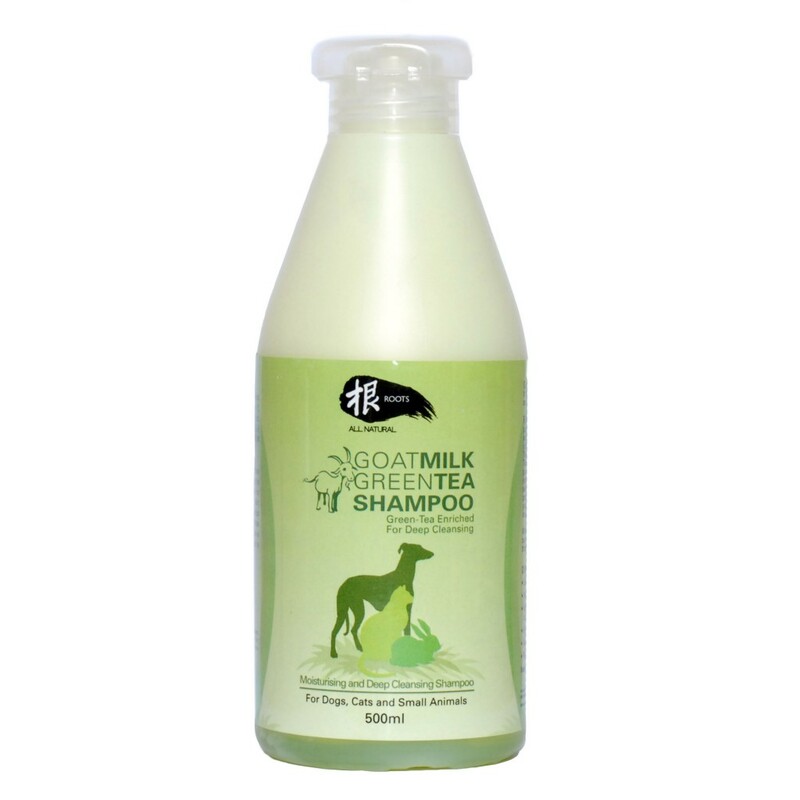 The finely ground leaves create the shampoo’s deep sultry colour and give your pets’ skin that healthy glow. Deionised Water, Disodium Cocoaphodiacetate, Cocamidopropl Betaine, EGDS, Polyquaternium-7, Amodimethicone, Aloe Vera Extract, Milk Extract, Green Tea Extract, Lanolin PEG-75, Dimethicone PEG-8 Meadowformate, Triclosan, Citric Acid, DMDM Hydantoin, IPBC, Skin-safe Fragrance Oils.